We’ve been working really hard on spellings in French this year. It’s the first year of French and we have been looking at pets. For the topic we learnt eight words for animals, and I challenged them to learn how to spell the words by working together to come up with some strategies. I was hoping the highers would remember some of them and the lowers would remember one or two. In fact the whole class managed to learn and remember how to spell all 8 words. They employed a range of techniques ranging from using phonics, to word association to full-blown storytelling. Oiseau is “oh – I see you” and since Tortue looks like torture they had a story about a tortoise being tortured by having his second “r” taken away. But my absolute favourite was Yoda’s bitter pet mouse: hmmm the mouse sour is! I’d love to hear about any techniques your class have come up with for learning their spellings so feel free to add a comment in the box below. It’s not the first time I’ve come across this attitude, and I’m sure it won’t be the last, but it makes me cross and it makes me sad. I’m an MFL specialist so maybe I’m biased, but I can see plenty of reasons not to withdraw children from MFL lessons – including and especially those with learning difficulties. Let me explain…. What do French, Spanish, German, Italian and Dutch have in common? That’s right…they are all languages. So is English, so already we have identified something that English and whatever foreign language the child is studying have in common! As languages, French, Spanish, German etc use grammar – just like English. And so here is my first reason for not withdrawing a child from their MFL lessons: in MFL we talk about grammar. We use words such as noun, verb, adjective, definite article, preposition….all the words the child is being taught in their English lessons are being reinforced in their MFL lesson. If they didn’t understand it first time, here is a golden opportunity to go over it again, in a different context. In MFL lessons we talk about the fact that verbs change their endings depending on who is doing them, and compare this to English “I look, you look” but “he looks”, so again there is more reinforcement of grammar. We talk about the different tenses and when to use them, and we look at how to structure a sentence and guess what…..we compare all this to English too. We look at similes and alliteration. We practise dictionary skills. In MFL, more than in probably any other lesson, we reinforce what they are learning in their English lessons. 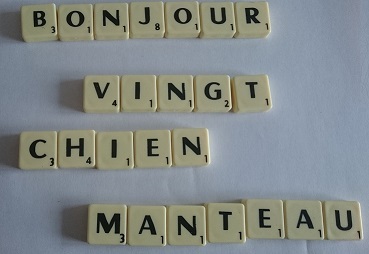 It’s not just grammar that MFL helps with; it’s spelling too. In MFL lessons we look at spelling patterns and we talk about which ones are similar to English and which ones are completely different. More importantly, we think about how to remember the spellings of the words, and these techniques can be transferred to their English lessons. It’s not just their English that benefits. When we learn how to count in a different language, or how to tell the time, we’re reinforcing their maths. When we look at countries where that language is spoken we are reinforcing their geography. The children study the culture of those countries (PSHE and RE), investigate the rhythm of language (music) and perform role plays (drama). The other important thing about language – all languages – is that they are a means of communication. It isn’t just about reading and writing. Communication also involves speaking and listening, and we do plenty of that in MFL lessons. Just because a child struggles to spell, or to hold a pencil, doesn’t mean that they can’t excel at speaking, and just because a child finds speaking and listening difficult doesn’t mean they can’t do well with reading and writing. Last year I taught Spanish to a child who had several learning disabilities including dyslexia. He found writing difficult, but he really got the concept of adjective agreement and was able to show his understanding with the way he pronounced words when speaking, and he was really proud of his achievement. I’ve taught French to Deaf children because the school believed that they should have the same opportunities as hearing children. Some of them found it difficult, but some of them did really, really well with it. What a shame it would have been for those children if they’d been pulled out of language lessons because somebody decided it would be too hard for them. My dream is for more people to take this attitude. To stop saying “What’s the point?” and to start saying “Why not?” Because maybe, just maybe, MFL could be the one subject the child excels at. This is a method I picked up from Sue Kerrigan at Let Me Learn. It’s simple but very effective and I have used it successfully with a group of children who were finding words like “cake” and “make” really tricky to spell. 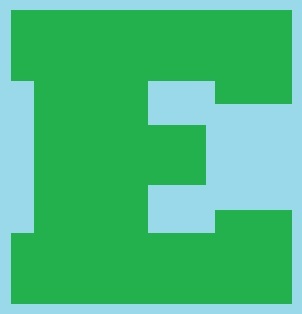 I took two pieces of card and wrote “a” on one and “e” on the other and then I attached them with a bendaroo, leaving a letter sized gap between them. 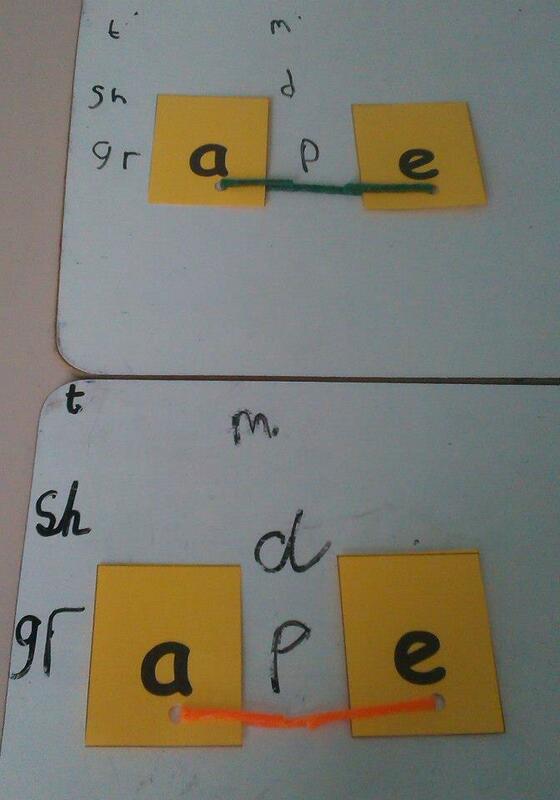 Then we sounded out some words: grape – g-r-a-p – and wrote the “gr” on a mini whiteboard, put our “a__e” sound card next, which left a space just big enough to write the “p” between them. We did this with a few more words until they were happy with the idea that the a sound could be made by a split “a” and “e”. By the end of the session most of the children could spell split e words. The rest needed another session to reinforce the concept, but they did all get there. 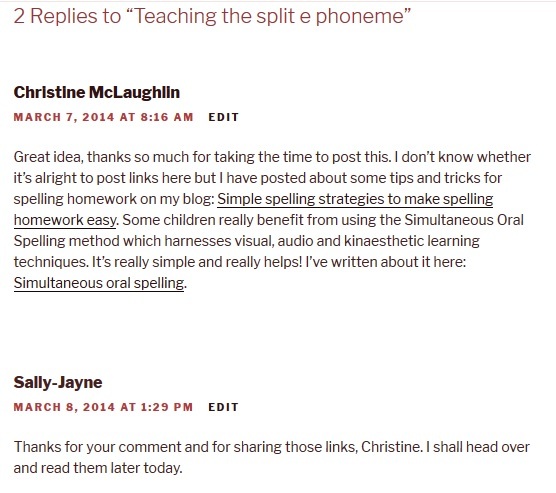 What spelling tricks have you tried that have worked? Let me know in the comments below – I’d love to hear about them.